Trade Minister, Amelia Kyambadde in blue bonded with the traders on Wednesday 10th, May 2017 afternoon. Courtesy Photo. The Trade Minister, Amelia Kyambadde and Girl’s Forum International have disclosed plans to register all female vendors in an association in a bid to empower them in business. She announced the move when she joined the “Live a day in my life” campaign organised by the Girl’s Forum International as part of the activities for the international mother’s day to be held on May 13th. 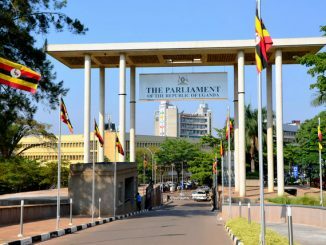 The minister marched with the women as they sold their merchandise on the streets around Uganda House and the Trade Ministry. 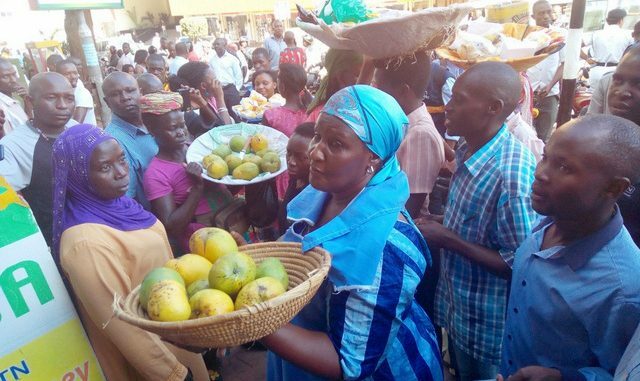 According to Kyambadde, female vendors suffer because they are not organised and are sometimes sidelined. She said the purpose of registering the female vendors is to help them organise them for advocacy and empowerment. Esther Namboka, the Executive Director Girl’s Forum International explains the need to establish the association for the female vendors. One of the female vendors, who didn’t disclose her identity, welcomed the intervention of the Minister and Girl’s Forum International. She explained some of the challenges they go through in the course of their work. Early this year, the Kampala Minister, Beti Kamya issued a trade order, which saw Kampala Capital City Authority (KCCA) evicting hundreds of street vendors and pushed them into Usafi and Wandegeya markets. Despite this some of the vendors have stuck on the street. They are over 10,000 street vendors in Kampala, according to KCCA. 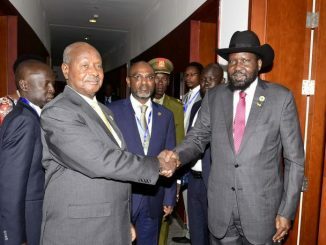 Should democracy mean end of Museveni’s rule?